In addition, Crossbar claims that its tech – unlike NAND, which is hitting the process-shrink wall – will easily scale down to the sub–5 nanometer node, can hold data for 20 years, and has ridiculously faster asynchronous (execute in place) read speeds than NAND. How ridiculous? They claim 425x XIP improvements. 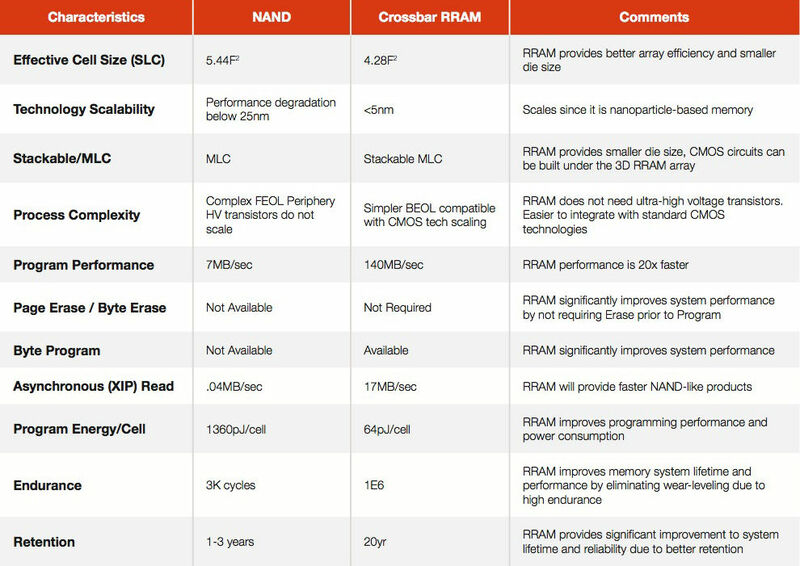 Of course, all this claimed goodness would simply provide pie-in-the-sky specs if the Crossbar RRAM parts were too expensive to manufacture at any reasonable price point. Minassian and his team, however, say they've got that covered, pointing to a working Crossbar memory array that they've baked at a commercial fab – although they did not say at what process node this demo array was manufactured. 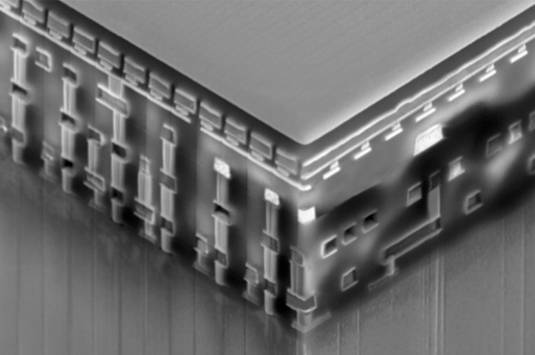 By using standard CMOS process technology, they say it would be possible to "easily stack non-volatile memory on top of microcontroller and other logic on FPGAs and highly integrated SoCs at advanced nodes." And yes, they do plan to license their tech to SoC designers. Crossbar was founded in 2010, is based in Santa Clara, California, and has received $25m in funding, according to VentureBeat, from early investors Artiman, Kleiner Perkins Caufield & Byers, and Northern Light Venture Capital.